Opening the rock tumblers is always like Christmas. I waited almost a full two weeks to pop these three barrels and let my old rocks see the light of day. The two Dallasite loads in my Lortone QT66 went amazingly! 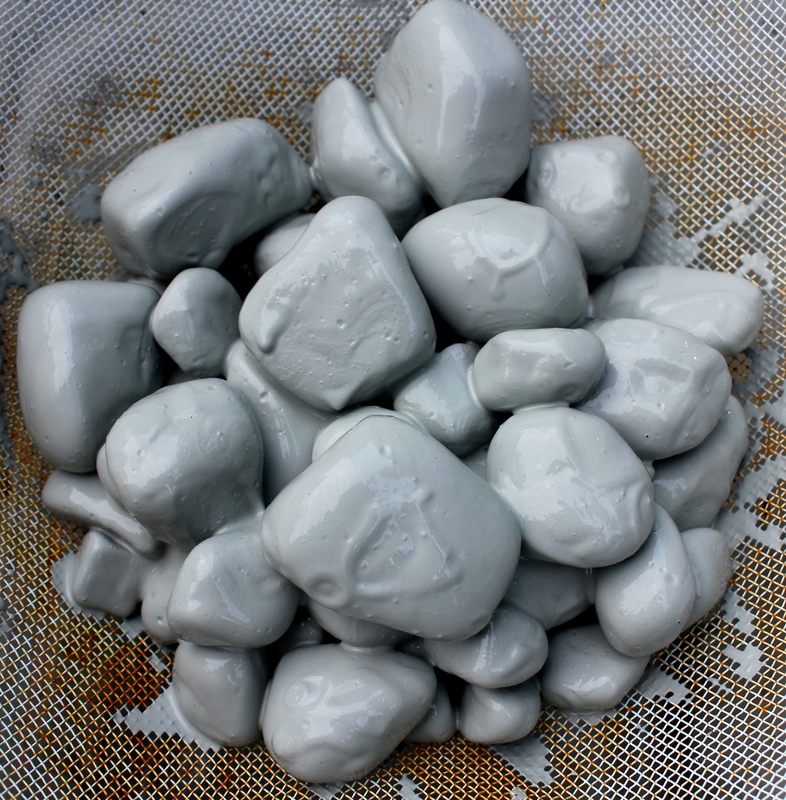 I was super impressed with how smooth and fracture-free these rocks came out. 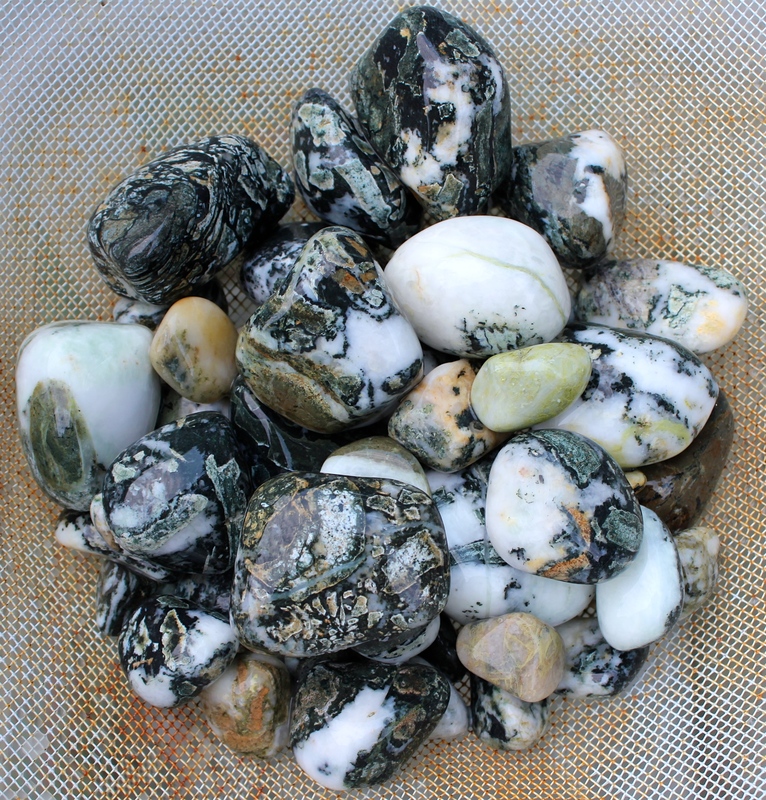 More time, good assortment of rock sizes and bigger barrels is the magic formula for me so far. 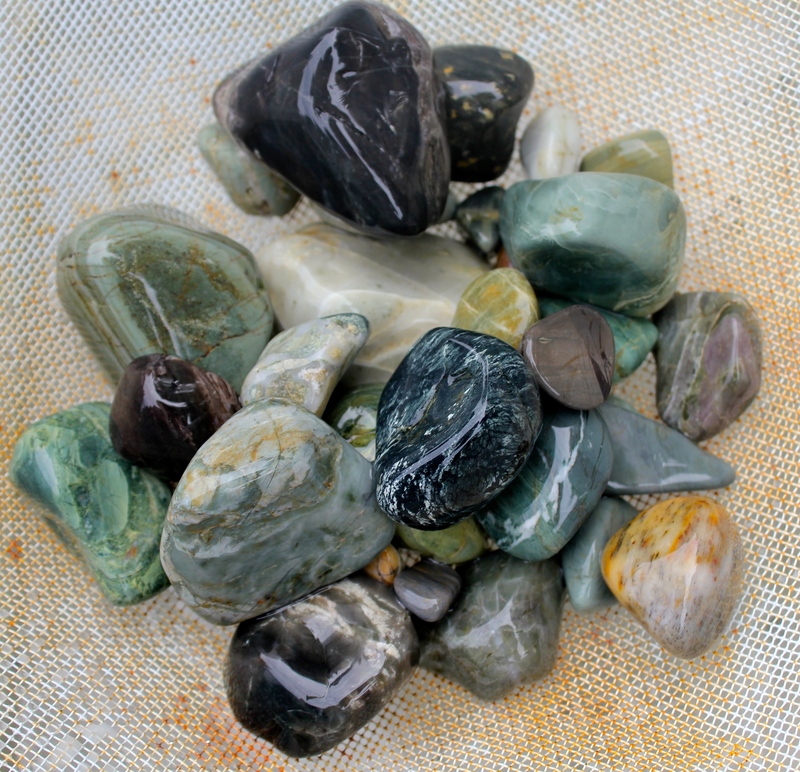 On the other hand, my green jasper/green whatever else load in my 4 lbs barrel did horribly. Some pieces look decent but a lot got beat to Hell and back. Some of that stuff is too soft to tumble, I think. Below are pictures. 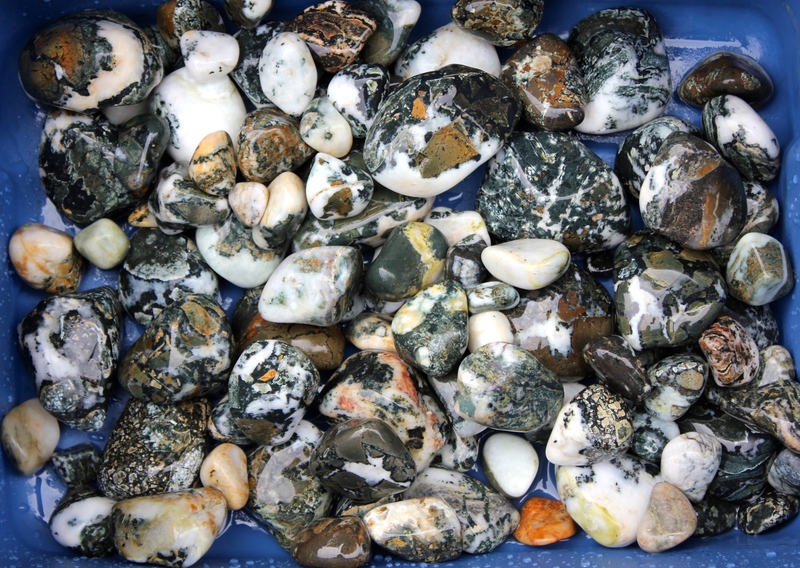 Back to the rock and gem store to load up on grit and ceramic media I go. 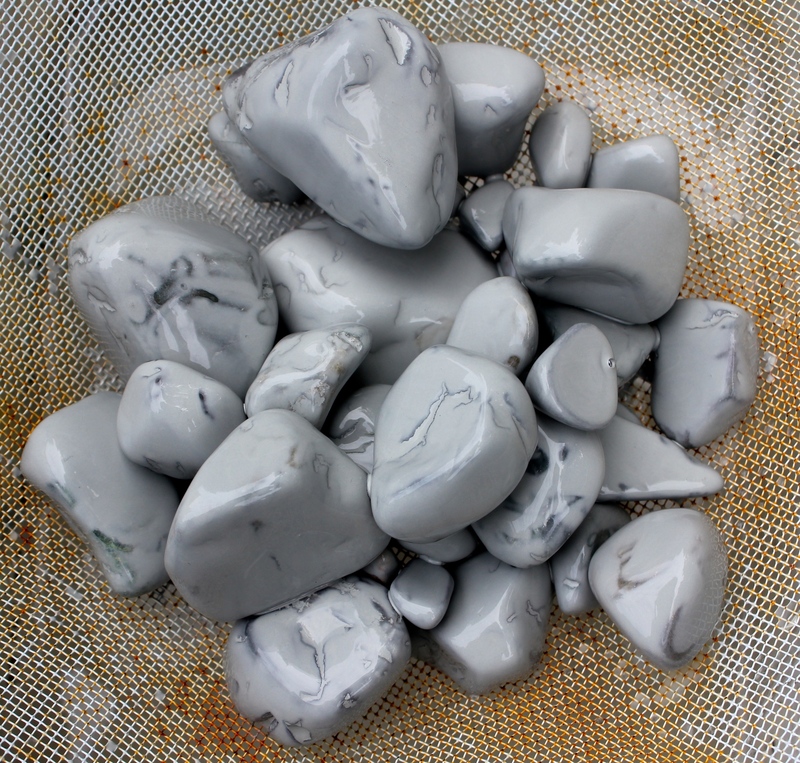 The tumblers are hungry for more rocks. Have a good day! Dallasite load out of coarse grit in the rock tumbler. Same Dallasite load, hosed off! The other barrel of Dallasite in my Lortone QT66 (which is 2 6-pound barrels, also comes in one 12-pound barrel). 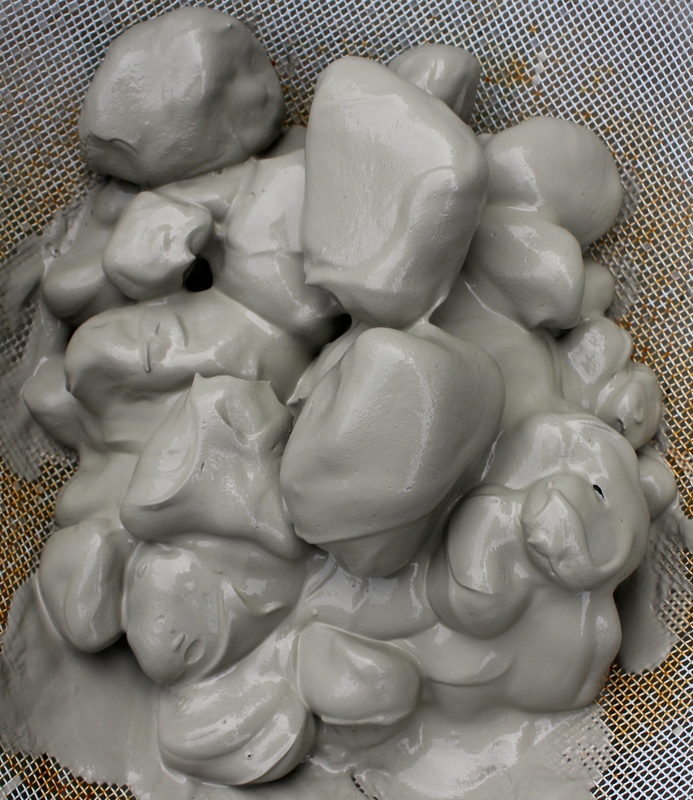 The slurry thickened up well on my Dallasite and helped shield the rocks from too much battering in the tumbler. Dallasite jasper after two weeks in coarse grit. Same load as above picture. All of the Vancouver Island Dallasite from my two rock tumbler barrels. Only a handful of pieces were damaged this time, which is a big improvement over previous loads I’ve done. 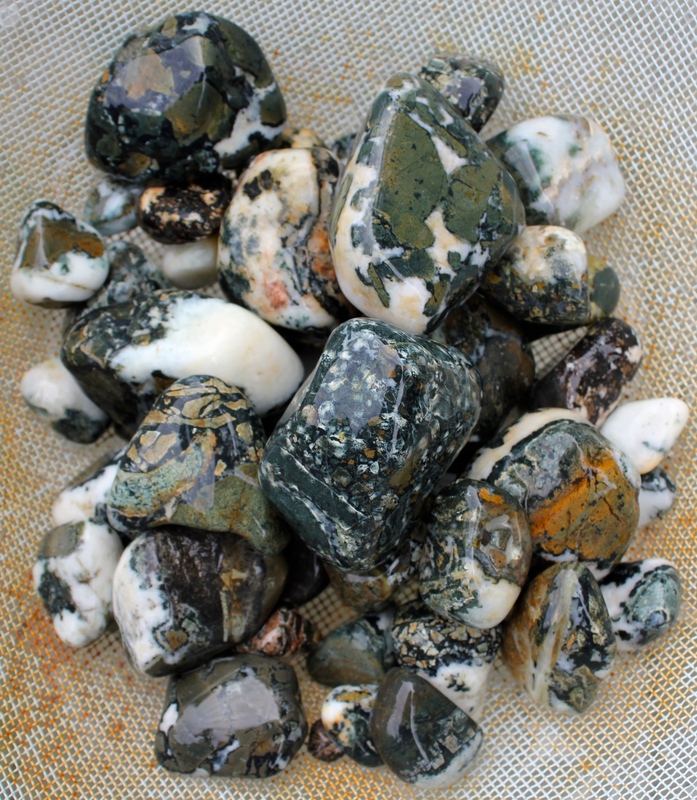 Here’s the green jasper/greenstone/some sort of soft green rock that I put in my 4-pound barrel. You can see the fractures already, and you can also see that the slurry did not get as thick as with the Dallasite. How the greenies look hosed off. Some pieces are nice and can move on to the next step, but probably half this batch got too beat up to go on. Sigh. 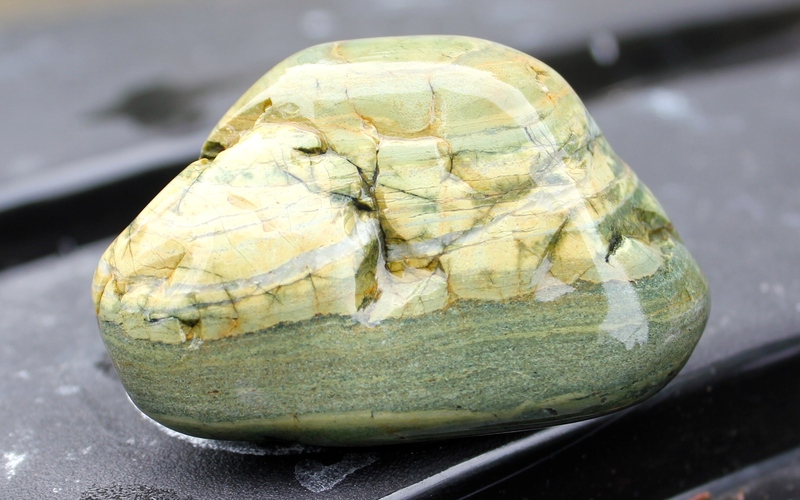 Beautiful banded green rock here and it got absolutely thrashed in the rock tumbler. It was smoother when I found it!